"Be nice to nerds. Chances are you'll end up working for one" ("William H. Gates III"). This nerd, by co-founding Microsoft, became the world's youngest self- made billionaire. Bill Gates business acumen, devotion to the software design and innovation, and subsequent determination to give back through charitable organizations, makes him inspirational to people everywhere. Bill Gates the son of a lawyer, born in 1955 in Seattle Washington, grew up with his parents pushing him to succeed. To that end, his parents enrolled him in the Lakeside School, a private prep school where he met his future business partner Paul Allen. Gates was introduced to computers when The Mothers Club at the school raised money to buy an ASR terminal and a block of computer time on a GE computer for students attending the school. His early experience with programming the GE system ignited a passion in Gates that would define his future and cause "Time magazine to name him as one of the 100 people who most influenced the 20th century" ("Gale Biography In Context").While he was still in high school, Gates and Paul Allen founded a company called Traf-O-Data. They created software that counted traffic. They sold that company for an impressive $20,000. However, not all of his time on computers was well spent. He is credited with creating what may be the first computer virus. He caused a national network of computers called Cybernet to crash. He was discovered and subsequently punished. He was banned from using computers for his entire junior year at Lakeside. As soon as the ban ended he was back with Paul Allen writing software programs. They wrote a program for the school that scheduled classes and put them in class with the good looking girls. Bill Gates earned a spot in Harvard with a perfect score on the math section of the SAT. He stayed there for a year and a half. Then in January of 1975, an article came out in Popular Electronics that caused Paul Allen and Bill Gates to found Microsoft. 'It was a cover story on a $350 microcomputer, the Altair, made by a firm called MITS in New Mexico." He knew right away that this was what he wanted to do with his life. "Part of Microsoft's startup costs came from Gate's poker winnings at Harvard. As he says, "In poker a player collects different pieces of information . and then crunches all that data together to devise a plan for his own hand. I got pretty good at this kind of information processing" ("Gale Biography In Context") Bill Gates wanted to use that money to create software that made personal computers accessible to everyone. With his parents' blessing, he dropped out of Harvard and moved to New Mexico to found Microsoft with Paul Allen. They didn't own an Altair machine but they wrote software programs for it. They used a simulator program to pretend it was an Altair. It ran perfectly the first time they loaded it! 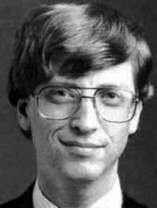 Allen and Gates moved Microsoft from New Mexico to Bellevue Washington in 1978. It was in 1980 that Microsoft got its real break. Gates worked with IBM to modify an existing piece of software called disk operating system (DOS). MS-DOS started shipping with IBM personal computers and it became the standard. By 1984 over two million copies were sold. As the Chairman of the Board and President of Microsoft, Bill Gates led the company he co-founded to be a household word. It was not without a great deal of hard work. Between 1978 and 1984 he only took 2 weeks of vacation. His next big life change came in 1994 when he married Melinda Gates. They went on to have three children. 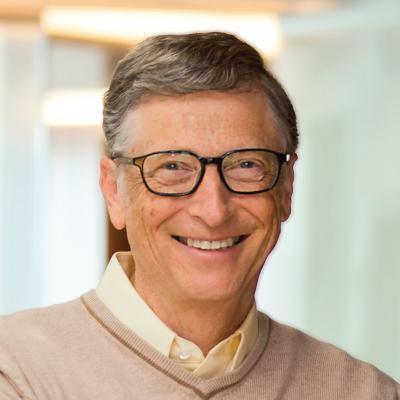 "He and his wife founded the Bill and Melinda Gates Foundation, and endowed it with more than $17 billion to support philanthropic efforts in the areas of global health and learning. At the beginning of 2000, the foundation had committed nearly $700 million to various agencies, and Gates and his wife had contributed more than $21 billion to philanthropic causes by 2001, of which more than $2 billion went toward global health initiatives and $500 million were designated for learning opportunities." (Gale Biography Context). "In 2000 Bill reduced his role at Microsoft to devote time to the Bill and Melinda Gates foundation," (Shaw Susan). Bill Gates doesn't just throw money at random organizations to please the public. He really cares. He gives up time with his business to spend more time with his charity and family. Bill Gates did not keep all the money to himself but gave tons away to charities and foundations. Although he could spend his hard earned money in a variety of ways, he chose to bless others by giving large portions of his wealth for better education. Bill gates gave up his time to help others. Bill Gates isn't a spoiled man that just uses his money for his own purposes but uses it for other's needs. Bill Gates hasn't just donated a lot of his own money; he also inspired other rich people to do the same. "The Giving Pledge is a campaign to encourage the wealthiest people in the United States to make a commitment to give most of their wealth to philanthropic causes. The campaign specifically focuses on billionaires and was made public in 2010 by Warren Buffett and Bill Gates." Other people that wealthy should do the same and donate. According to the Washington Post, "Bill Gates is the most giving person in the world"
According to an article in the Tech Free Press, "Microsoft Chairman Bill Gates funneled millions of dollars into education programs across the world" (Pittsley 2007). 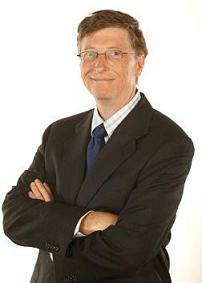 Gates stopped being involved in day-to-day operations of Microsoft in 2008. He started to focus most of his energy on his Foundation. "In early 2009, Gates told Maria Bartiromo in Business Week, "It's been great to get more time with the scientist, more time out in the field. These are intense, complex issues .it's really drawn me in. And I find the same magic elements that made me love my work at Microsoft" ("Gale Biography In Context") A great business man, a great inspiration, and a great hard worker, Bill Gates has it all. Bill Gates is my hero because of all his accomplishments. 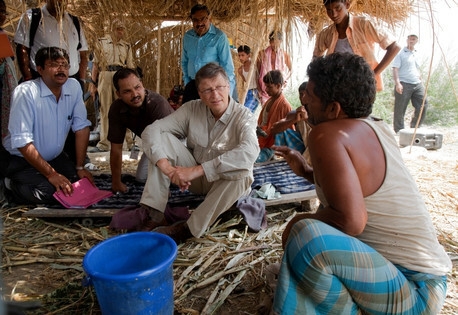 Bill Gates inspires me because he worked hard to achieve his dream, and that continues to inspire others. William Henry Gates, III." Encyclopedia of World Biography. Detroit: Gale, 1998. Gale Biography In Context. Web. 10 Dec. 2012. William H. Gates." World of Invention. Gale, 2006. Gale Student Resources In Context. Web. 13 Dec 2010. "William Henry Gates III." Encyclopedia of World Biography. 2nd ed. Vol. 6. Detroit: Gale,2004. 232-234. Academic OneFile. Web. 14 Dec 2010. Micheal. "The My Hero Project - William Henry Gates III." Myhero.com. N.p., n.d. Web. 2 June 2010. Liou, Olivia. "The My Hero Project - Bill Gates." Myhero.com. N.p., n.d. Web. 27 Dec. 2010. Leah. "The My Hero Project - Bill Gates." Myhero.com. N.p., n.d. Web. 9 Oct. 2007.